Living a Fit and Full Life: Cook Easier and Eat Healthier with Home Chef! We’re here to help busy people like you to skip the grocery store and whip up delicious meals in 30 minutes. Every week you get knockout new recipes and all the fresh, pre-portioned ingredients delivered straight to your door. Say goodbye to long grocery lines, parking lot power-struggles, and Pinterest-induced food fails that leave you ordering takeout at 11 PM. 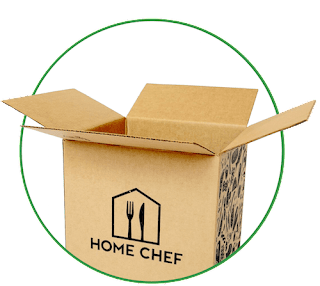 No binding contracts here -- just a weekly box on your doorstep with fresh, perfectly portioned ingredients and your choice of easy-to-follow recipes that best fit your taste and life. Need to edit the number of weekly meals or servings you receive, skip a week or pause your account? No problem. We make our subscriptions easy and flexible so you can make them your own. Good taste goes beyond the food on our plates. It can be found in reducing, reusing, and recycling the packaging that brings it to you. By cooking with perfectly pre-portioned ingredients, you also eliminate food waste from buying in bulk at the grocery store. At Home Chef, we only work with vendors we believe in. We expect our purveyors to operate within the same quality standards our own employees abide by. As a result, we choose innovative suppliers who are making waves in their given industries; suppliers with sustainable practices, who benefit the ecosystems in which they operate; and suppliers who actively demonstrate respect and appreciation for their employees. Cook easier and eat healthier with Home Chef! I'm a super busy mom of 4 who works from home and homeschools my kiddos so I often have very little time to even think about dinner. I also love eating healthy but because of the lack of time I often end up eating unhealthy. I often end up tossing a frozen pizza in the oven when I realize I don't have all the ingredients I need to make what I want to. 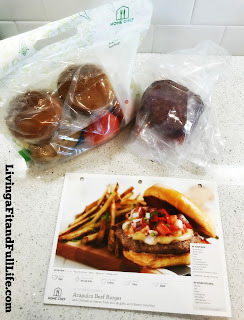 Home Chef makes it so easy! 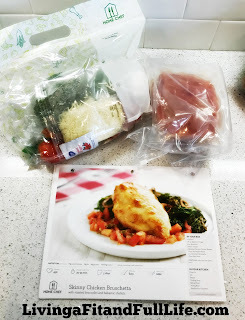 They send you the ingredients to make wonderful meals like I made above as well as a simple easy recipe to follow. In fact the recipes are so easy to follow, my 9 year old ended up doing most of the work. 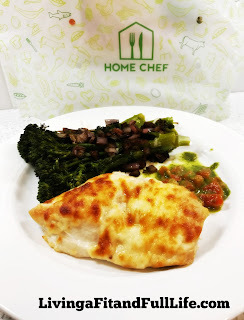 I'm completely in love with Home Chef and have to say as the mother of 3 girls Home Chef is the perfect easy way to prepare meals together because they're incredibly easy to follow. 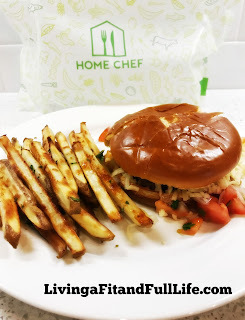 Home Chef has definitely won me over and I highly recommend them! 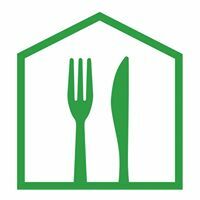 Follow Home Chef on social media!